Grew Up... with a drunk father who would beat him and give him black eyes. Unfortunately, Jack’s mother never stood up to him; she rarely spoke above a whisper. 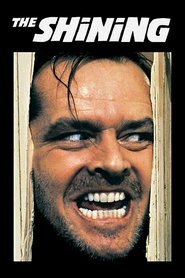 Visiting... the Colorado Rockies where Jack took a new job as the winter caretaker of the Overlook Hotel, a secluded five star hotel. The hotel owner needed to fill the job since the previous one died there. The last caretaker murdered his little girls with a hatchet, his wife with a shotgun, and himself the same way. Interests... drinking – at least Jack used to like it. He has been sober for a while now. But as he says, "I'd sell my goddamn soul, for a glass of beer so I could toast to five miserable months on the wagon, and all the irreparable harm that it's caused me." Relationship Status... married to Wendy, a quiet and strong woman. Their relationship has been rocky in recent years, and their son worries that they may get divorced. Challenge... dealing with his son’s hallucinations. Danny has always had an active imagination and even has an imaginary friend named “Tony.” But at the hotel, Danny has been seeing disturbing visions that are scaring everyone – from seeing a corpse in a bathtub to finding the word “REDRUM” flashing in a mirror. Personality... tortured, volatile, and possibly mad. Jack’s is a troubled man who seems to want to do the right thing. He's an introvert by nature, generally keeping to himself and not saying much. But if you find him in one of his moods, you’ll be the unlucky victim of one of the most bone-chilling, sinister yellers around. Just be sure to bring your own axe. Jack Torrance's popularity ranking on CharacTour is #373 out of 5,000+ characters. See our top-ranked characters and read their profiles.